Aries people are ambitious and goal-oriented, working best by themselves or by directing others—basically, they lead or go it alone. They perform each task carefully and diligently. Not giving an Aries enough responsibility ensures an unhappy, lackluster worker; a potential promotion is a good way to motivate them and placate their competitive, driven nature. An Aries must be in the thick of action to feel truly alive. This is why you will find an Aries employee almost always searching for new things to do and be one of the first to volunteer in case there is a fresh project at hand. He/she is most likely to amaze you with their brisk pace of working and the speed at which they goes through tasks while others around them may still be mulling things over. And this is hardly surprising when you consider that the element associated with this sign is Fire, symbolic of dynamism and the source of intense energy. All these reasons make an Aries employee a perfect choice in positions where quick thinking, innovative ideas and unflagging energy are required. The keen mind of an Aries is superb at grasping new ideas and moving from one concept to another all the while trying out fit the pieces of the giant jigsaw puzzle they may have been given to complete. The trouble with having such a fireball working for you is that he/she is likely to step on others’ toes. As the boss, you may have to tame an Aries’ natural desire to take over everyone else's department, since he/she is practically bursting with ideas of how everyone in the firm - including you - could get where they're going way faster. But if you can learn not to take offense at his/her frequent and often impertinent suggestions, you will find in him/her a wealth of original and profitable thoughts. One of the biggest mistakes you can make with an Aries employee is to restrict him/her to the nine-to-five office routine. In the beginning, he/she may work hard within the grid to impress you, but it won't be long before he/she starts getting restless. This is because an Aries is constitutionally unable to keep to a tight and uniform schedule, regardless of what the standard procedure is at the office. The great, creative energy of the Aries is likely to brim forth at all hours and it simply cannot be adjusted to fit someone's idea of the proper working day. So if your Aries employee asks to leave early some afternoon for pressing personal reasons, try to let them go; you can trust them to come back later the same night to work late or pop in before the cleaning lady the following morning to make up the work they have missed. Yet another aspect of their restless, energetic natures is a tendency to get quickly bored. When confined to pushing files in the office or not given enough challenges, an Aries employee will soon lose interest in his/her work. And once they start getting bored, you will be able to pick up the signs in a hundred unmistakable ways, like coming in a little later each day, taking extra time for lunch, or writing personal letters at his desk. These are all danger signals that an Aries employee is not satisfied with his/her work and when this starts to happen, all the plus points could get overshadowed by their shortcomings. The easiest way to get the best out of an Aries worker is to give him/her a relatively independent project. Put an Aries worker in a position where he/she has a large degree of freedom to make decisions and, if possible, is answerable only to you. If you can do it without hurting office morale, allow him to come to work at odd hours. After a short period you'll notice that, although he may appear as late as ten in the morning or even take two hours for lunch, he/she will also be the very last one to leave at night. When allowed enough independence to work with you will find an Aries employee a driven and efficient worker. He/she will be more likely than any of the other employees to put in some extra hours of work and also accept additional assignments as a challenge, without complaining. Another aspect of their strong independent natures, is that Aries men and women don’t take kindly to be told what to do and how to do them, unlike a Taurus or Capricorn who is far more comfortable with authority. In fact an Aries will take direct orders willingly from very few people since he/she believes very few people are superior to them. So in order to get the best out of a young Aries employee, try to add some kind of grand-sounding responsibility to his/her daily duties so that they are happy believing that the place couldn’t run without them. Also beware of criticizing them before others or giving someone else the credit for what they have done. 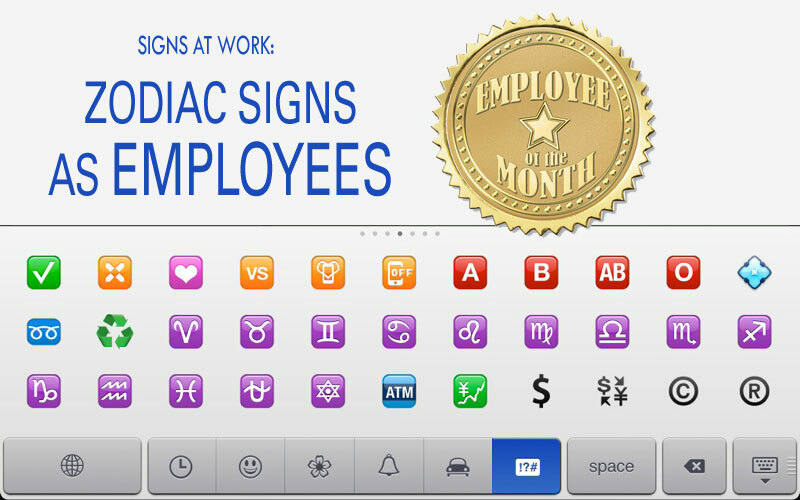 Such behavior will completely kill all Aries’ enthusiasm and he/she will completely lose any interest at work. Even if you need to correct an Aries worker, couch your point in appreciative phrases and do it behind closed doors so that their ego is not hurt. Most of all make it a point to appreciate the efforts and successes of an Aries employee since open and sincere recognition work best to motivate him/her. Armed with dynamic personality, a brilliant mind and oodles of self-confidence, Aries is a natural leader of people. You will find him/her seizing the initiative, motivating others team members with immense energy, firing up brilliant solutions and then galvanizing everyone to complete the assignment. The downside of this personality is that they cannot always be trusted to follow a project through, juggling as they are multiple interests and activities. Also niggling little details irritate them and they would much rather leave such minutiae to other members of the team. On the whole, an Aries employee is a great asset when you need your company to be lifted by innovative ideas or promoted far and wide. Taureans are reliable, practical and honest; they are methodical and work well in teams. Additionally, these folks like jobs that deal with artistic or extravagant things. Compatible professions include jobs in finance, accounting and interior design. Bulls make excellent worker bees. They are steadfast, focused, methodical, and have no problem with repetition. In fact, job environments that are too erratic or change often make them stressed and grumpy. Their stubbornness is often the only impediment to them being ideal employees. As long as they feel useful and see advancement in their positions, Taureans will continue being patient and productive. The prospect of a stable job attracts Taurus employees to a company rather than the idea of learning the ropes under experts or the view offered by ocean-facing office building. A Taurus above all needs security in his/her life – just like they need to be assured of the commitment of their partners in their relationships, similarly they like to know that their job will not be taken away by the merest fluctuations of the financial market. So if you are keen to retain a Taurus employee, offer him/her something more substantial than a temporary opening; if a permanent position is not possible at the moment, at least show them the benefits of a long-term contract with your company. Once they are satisfied that they stand on solid ground, an employer, can land the most difficult project and they will happily acquiesce. The need for security in a Taurus is also reflected in how they negotiate compensation at work. On the whole Taurus men and women are attracted to definite material rewards rather than the sheer pleasure of working with someone famous or for philanthropy. So they need to be drawn with an attractive salary package, something they know they are worthy of. Interestingly however, a Taurus worker will be more comfortable with a fixed salary and perhaps a few perks rather than a fat percentage of the deals that he/she is able to close for you. Because of their love of security, a Taurus would much prefer knowing how much he/she is taking home at the end of the day. As a fixed earth sign, Taurus men and women are grounded in the practical and material realities of life. Not for them the soaring imagination of a Pisces which makes for famous artists or the persuasive powers of a Gemini which can get the most intractable customer to sign on the dotted line. In fact if you have dared to put a Taurus employee in sales or promotion, he/she is more likely to warn others the particular product or service isn’t such a good idea. This is because the no-nonsense earthy nature of a Taurus makes him/her see a thing for it actually is, instead of viewing its possibilities. This lack of imagination might make them a misfit in the creative or sales departments but a huge asset in the accounts section or in the banking industry where you can count on their cautious nature to handle money. This is not to say that a Taurus will not be able to sell anything. With a strong planetary influence of Aries, Gemini or Leo in their horoscopes, Taurus sales professionals can be quite successful but overall they would prefer a low-pressure sales pitch or where the product is solid and comes with in-built security like perhaps farm equipment, real estate or loans and retirement plans in the finance sector. Another consequence of their fixed sign is that Taurus men and women are often slow to accept change. Unlike an Aquarius who can move from one idea and plan to another with a breezy simplicity, a Taurus is most comfortable in a set routine and surrounded by familiar working relationships. You will rarely find them job hopping unless there is a very good reason for them to change companies like perhaps a meager salary. Again they are only too happy to continue in the same physical space unless it is too shabby or restricted. This might make a Taurus employee less fitted for the brainstorming departments in industries like fashion and computer technology where a trend or software is news for the briefest span of time. You will be able to get much more from your Taurus worker in administrative positions or legal departments where time-honored rules and conventions hold the sway. Loyalty whether in professional or personal lives is a quality that ranks among the highest ideals with a Taurus. In relationships, Taurus men and women make some of the most faithful partners and also some of the most unforgiving in case they realize that they have not been accorded the same fidelity. At work, a Taurus worker would make a great choice to have a close-knit team or professional allegiance. Once they are happy with their salary and the kind of work they do, they don’t need much to persuade them to stay in the same company which could be for several years together. Also a Taurus does not much care for inter-personal relationships at the workplace as long as he/she is left alone and not dragged into office politics. Unlike a Cancerian or Libran employee who would get upset by stressed relationships at the workplace even perhaps to the point of quitting, you can trust a Taurus to keep to his/her own and not be greatly bothered by what is going on around them. Finally the Taurus’s ability to hold the center together makes him/her indispensable in any company or team. They can be trusted to keep their calm and come up with a reasonable solution in case of emergencies or when things are going haywire. In a Taurus you’ll seldom come across a more dependable, trust­worthy and honest employee. Gemini's need a profession that keeps them motivated and interested -- no two days at work should be the same. Geminis are known for their superior communication skills and can adeptly performing twenty tasks at once. However, like their fellow airy Aquarians, they have quick-moving minds that require constant stimulation. The dual personalities of the twins also mean they can be moody, which affects everything from social interaction to getting work done. Generally, they enjoy being around others and seek out friends in the work place. As long as their workload is kept interesting, they can get a lot done quickly. One of the most obvious characteristics of the Gemini personality is a way with words which can charm even the grimmest interviewer or the most intractable client. A Gemini employee is a master communicator who is equally at ease explaining to his/her team members on how to go about an assignment as well as convincing a customer on why they should buy your product or service. In fact, most Geminis are so glibly persuasive they can talk people into buying things they couldn't possibly even use or even sell ice to an Eskimo, as the saying goes. An employee with this level of conversational skill is an asset to any company and especially to departments like sales, promotion and public relations. However the thing to be aware of a Gemini’s skill with words is that he/she is not above using it to get their own way. This manipulative streak is usually quite well concealed but can be a cause for low office morale in case other deserving workers get the worst of it. A Gemini’s dexterity in communication is not simply idle chatter. What removes his/her facility with language to a plane far above social chit chat is the brilliant mind that directs their conversation. Once you begin to see a Gemini employee in action you will realize that they can take an abstract idea and reduce it to a formula better than anyone else in the office.An Aquarius worker might be able to conjure up far-ranging ideas while a Virgo might amaze you with the perfection of the final product, but where giving shape and form to a potentially productive idea is concerned, few signs can do it better than a Gemini. The planet which rules the Gemini sign is Mercury, the swift-footed messenger of the gods in Roman mythology. This perhaps explains the incredible energy of Geminis which drives them from one activity to another. You are quite likely to find out that besides holding a full time job, a Gemini worker is also an amateur stage actor, an avid golfer as well as something of an expert on Italian wines. This ability to juggle multiple interests makes them ideal for appointments which require some expert multi-tasking. So it would be a good idea to go for a Gemini when hiring a secretary who will most probably surprise with her speed of typing, her skill with the switchboards as well as her ability to charm irate clients. The flipside of this buzzing energy is however a tendency to get bored quickly. If not presented with enough challenges to engage their nimble minds, Gemini employees are apt to get restless and prone to conjuring up potentially destructive schemes. It’s like their minds can never be at rest for long so you need to be careful where you place them. A confining desk job which does nothing to vent out their crackling energy is likely to make them nervous and unhappy. Rather place a Gemini in appointments where he/she is given responsibilities challenging enough for their quick creative minds and considerable persuasive skills. Another point about their professional characteristics is their desire to be unfettered by too many rules and regulations. Though not as disdainful of authority as a Leo or as inherently rebellious as a Sagittarian, a Gemini worker can still be resentful of being pushed and prodded about by superiors, especially since he/she knows that with their agile mental and verbal faculties, they are way ahead of the average team leader. Being a mutable sign, Geminis are inborn with an easy flexibility and adaptability to changing situations. In the workplace this is most evident in the way that a Gemini employee can be counted upon to deal with an emergency. The typical Gemini will make instant deci­sions and go into action while most of the people around him/her are still getting their bearings. And even though the Gemini shares this ability to react to a crisis swiftly with other signs like an Aries and Scorpio, what sets the Twins apart are their nimble approach and persuasive skills which can often douse the biggest corporate fires. However the agile dynamic nature which prompts a Gemini to respond quickly to a change also brings with a kind of fluidity. They are liable to lose interest in a project once the execution begins and are often unwilling to see an assignment through till the end. On one hand a Gemini lacks a Virgo’s thorough meticulous nature while on the other he/she also lacks the fiery drive of an Aries. For these reasons, be careful of putting Geminis in sole charge of responsibilities which need to be executed perfectly and personally supervised till the end. Geminis are usually best at negotiating a contract or translating an idea into a workable formula. After the deal has been inked and sealed, they are only too happy to leave the niggling details and paperwork to other employees. Geminis are legendary for being the life and soul of parties. Their conversational skills and brilliant minds make them extremely popular and usually on good terms with all their co-workers. A Gemini not only experiences genuine delight in exchanging facts and information with their fellow interlocutors but actually finds socializing a great way to unwind. So if you have a Gemini in your ranks, be prepared for roaring office parties and nights of fun and dance. However you might have a broken heart or two in the workplace since Geminis for all their social skills are extremely reluctant to be tied down to anybody. Cancers are energetic, kindhearted, imaginative and protective. Their personalities usually fare well in law, psychology, teaching or nursing.Crabs are more likely to take care of everyone else in the office rather than work to get promoted. They put sufficient effort into finishing assignments, but they see their primary role as keeping the office environment emotionally stable by being supportive and always lending an ear to troubled employees. In fact, stability is what they constantly crave, and chaos and risk might make them temperamental. From the very beginning that the only reason a Cancerian has agreed to work is the paycheck. Unlike an Aries who is driven by the ego or the Capricorn who exults in professional prestige, a Cancerian will quietly examine if what you have agreed to pay them is in accordance with their rightful dues. And if it does, you will not get a more devoted, serious-minded and tireless worker. However if a Cancer employee feels that he/she is not getting their just desserts, then he/she will be led on to do something quite uncharacteristic like leave for another better-paying job. Uncharacteristic, because a Cancer thrives when surrounded by a feeling of familiarity and security – evident in the way the Crab prefers carrying its house around with it wherever it goes rather than adapting itself to changing surroundings. In their love of security, a Cancerian worker appears to resemble a Taurus but where the Crab differs from the Bull is in its emotional temperament unlike the latter’s bent for the practical and realistic. You will find a Cancer employee at their most productive when sharing a close supportive relationship with co-workers. Not only that, Cancerians are in fact acutely perceptive of their co-workers’ thoughts and feelings which is why they are always there to lend a shoulder to someone who is feeling low and appreciate another who has just had a new hairdo. A happy Cancerian can warm up a workplace with feelings of light, love and positivity and make it a center of productivity. On the flipside however, a Cancerian’s emotional temperament makes him/her extremely vulnerable to heartaches. A sharp word from you or even some constructive criticism in the evaluation report can take a Cancer employee to the depths of gloom. You may find a Cancer employee quick to take offence when confronted with an alternate opinion or opposition. Any hint of criticism and you are likely to find a Cancerian employee withdraw into a shell. And when Cancerians do get into one of their legendary ‘moods’, it is entirely up to them how long they will last. Just like a crab in its shell, no amount of prodding and provoking will make them emerge from a self-imposed retreat. They will come back to the surface only when they are ready and not before that. Apart from all this, the fear of being emotionally hurt by more aggressive colleagues or superiors can make a Cancerian rather timid. Thus an employee might have great potential but unwillingly to express it in order to cross swords with unpleasant people at the workplace. Another aspect of the emotional Cancerian nature is their attachment to familiar and beloved things. You can find a Cancer employee’s office cubicle or desk crammed with old get-well cards, shoe-strings, socks, empty ball-point pens and well-worn folders. It is never easy for a Cancerian to let go of anything, whether it is something as small as a dog-eared photograph of him/her with other co-workers or something as significant as a relationship. while this might seem as a quirky trait in a Cancerian, its larger impact is evident in the tenacity with which you will be surprised to find a Cancer employee holding on to a viewpoint or idea till you have backed down from your contrary position or at least agreed to try out what he/she may have to say. This tendency makes Cancer men and women masters at the art of passive resistance much like the Crab which can hide inside its shell or hold onto something with its claws for hours till the exhausted enemy simply gives up. Interestingly the apparent emotionality and sentimentality of a Cancer co-exists with a clear-headed understanding of what is needed to get ahead in the workplace. Being a cardinal sign, Cancer employees are great at taking responsibilities. Unlike a Leo or Aries, they might not make a fuss about taking orders from a boss but behind their apparent docility is a calm recognition of the fact that by fulfilling responsibilities, they are actually erecting the edifice of their own professional success. The Cancer’s sensitivity is very unlike that of a Pisces which is chiefly fuelled by a creative imagination and thus uncomfortable with a hierarchical authoritarian ladder. You will probably get to hear a great deal of the wife and kids from a Cancer employee. This is because home and family rank among their highest priorities, evident from the symbol of the Crab which is perfectly content to drag its shelter wherever it goes. While your Cancer employee will have the knack of bringing the same feelings of belonging, cozy camaraderie and family allegiance to the workplace, you can also count on him/her to take days off with alarming frequency, whether to attend a daughter’s piano recital or be with the spouse for their dental checkup. However the same sense of responsibility which prompts a Cancer to be always there for his/her family will also ensure that work is done and the assignment ready on the table before the deadline expires. The downside of a Cancer’s emotional and family-oriented nature is that they seem to take it quite bad when close personal relationships flounder. If a Cancer employee is going through a breakup or divorce, get ready for a rather lengthy disruption in your staff attendance. He/she will not only take weeks to recover but may even carry over the pall of gloom and despondency at the workplace. And though strictly speaking, you are not responsible for what goes on their personal lives, at such times if you can offer support in terms of a kind word and a slight raise for a Cancerian employee, you will have made a loyal supporter of him/her for a lifetime. Leos have a true lust for power and leadership. They are confident, optimistic and charismatic -- they have no problem winning people over with their charm. Government, legal services, art/design/architecture, engineering, entertainment, real estate and education, are all areas suited for Leos. Leos can be arrogant and confident and can come off as being full of themselves. What they want are positions of power, so they often boast of their best qualities in an attempt to be leaders, mentors, or any role that people look up to. However, they really are the best at taking charge, motivating, and keeping a cool head during stressful times. They just need to let go of competitive feelings when working with others. Being under the spotlight comes naturally to a Leo. This zodiac sign is ruled by the sun which stands at the center of the solar system while all the planets revolve around it. Similarly a Leo employee will expect to be center the attention in practically every situation at the workplace, whether it is an important overseas project or the yearly fete. And woe betides the boss who forgets this cardinal fact. So if you have just inked a lucrative deal with the help of a Leo employee, be sure that to give credit where it is due and for added measure let recognition of his/her efforts come in a public space before other co-workers instead of behind closed doors. A Leo will growl and roar until you agree to let him/her have the credit which he/she deserves. So whether a Leo worker roars from center stage or bides his/her time in the wings, remember they are a proud tribe. They are completely aware of their superiority and thus well within their rights that their qualities and successes be recognized and appreciated. Closely related to their love of the spotlight, is the Leo tendency to be vain. You can get much more out of a Leo employee if you show appreciation for their professional prowess by means of a grand-sounding title rather than an increase in the paycheck. Sure Leos love to possess fine things and show off their luxuries, because of which they cannot hope to be persuaded to work for peanuts. But just let a co-worker put up a plaque with an extravagant title and a Leo employee will pull a long face at his/her own pay hike. What a Leo is essentially looking for is to be openly acknowledged the best of the lot – the veritable King of the Jungle whose zodiac symbol he/she bears. And even if he/she cannot as yet aspire to the position of the boss, you can be sure that with their natural charisma, it is only a matter of time before they rise to the top. Even Leos who have just started out their careers will show some evidence of their leadership skills despite the fact that they may have yet to climb several rungs on their professional ladder. At the same time, their inherent sense of leading a pack may not sit well with their actual subordinate status which is why young Leos have some of the biggest problem in taking orders from superiors. Despite all their hunger for attention and vanity, what makes it worthwhile to have a Leo in your workforce is their strong sense of responsibility. You can count on a Leo to take charge of any kind of project, no matter how difficult the circumstances or how intractable the client. It is another matter that instead of doing the hackwork him/herself, a Leo will enlist the best minds on the job so that it exceeds your highest expectations in the end. In fact so great is a Leo’s need to take charge that he/she feels quite useless and even unwanted when not assuming some kind of obligation. If there's nothing else available to build his/her sense of importance, you can find a Leo plumping up his/her own self it by handing out free advice to co-workers, friends, family and sometimes strangers too. Thus the best way to get work out of a Leo is to invite him/her to take responsibility of an assignment, a refurbishing plan or even where to have this year’s Christmas party – this is not only keep your leonine employee happy and out of everybody’s way but in fact enable you to make full use of their resourcefulness. Once you add to a Leo’s unshakeable sense of responsibility, a fearless personality then you have the perfect person to cope with emergencies and come up with immediate solutions to an impending disaster. It is this combination of a courageous and responsible nature that makes a Leo a natural leader of men and women – someone to look up to and fall back upon when all seems lost and the enemy – read customer or debtor – breathing fire down your neck. Leadership comes naturally to a Leo who seems to have an innate knack of organizing people, delegating jobs and getting the work done by everyone around them. Mind you, the Leo does not have the giddy energy of an Aries or the Gemini’s knack for being present everywhere at the same time and may be even be given to spells of laziness at times; yet trust Leo with a job and you can rest assured that it will get done. You might even be taken aback to find that your Leo employee has quite a circle of admirers at the workplace or at least some very pliant co-workers. This is because a Leo appears to attract followers as naturally as the King of the Jungle whose symbol this zodiac bears. Virgos are detail-oriented with a passion for knowledge and meaning. Careers that require accuracy and research are well-suited to these folks.Virgos have an analytical nature that makes them productive powerhouses. They’ll work long hours and take on any job given to them. They’re also chronic (and vocal) worriers and complainers—attempts to quell their misgivings are usually in vain. But those negatives also keep them detail-oriented and vigilant when it comes to doing things right. Virgos are nothing if not perfectionists. If given a job, they will drown themselves in it and emerge only when it is done. While they share this kind of intense drive with other signs like an Aries or Capricorn, what sets a Virgo worker apart is he/she will ensure it is done according to the highest standards in their personal rulebook. This is because they believe that if a thing is worth doing, it is worth doing well. Virgos dislike shoddy work or that which is done half-heartedly which is why they make a great choice when a job needs to be done with the utmost care and precision. Thus you can trust a Virgo employee to put together a perfect window display in your store or rustle up a gourmet dish in your restaurant which is sure to meet the loftiest standards of the F&B reviewer. Another trait which closely goes with their perfectionism is the Virgo’s meticulous nature. They go into the heart of every issue or task and examine it with minute detail. Thus if any project or assignment needs to be done with complete thoroughness, a Virgo is your best bet. Unlike a Gemini who flits from one task to another or an Aquarius who is great as visualizing abstract ideas, a Virgo will lavish close attention on the task at hand and take into account every clause and clarification. This is one of the reasons why Virgos excel in areas like accountancy, law and even fashion and others which require a keen eye for details and a focused concentration. On the downside however, you can trust a Virgo to point out a flaw in a job, no matter who the perpetrator is. A Virgo believes in the pursuit of perfection. One consequence of this trait is that Virgos tend to be more exacting than other signs. They are more likely to judge their co-workers by the same impossibly-high standards that they hold in their own lives and expect others too to maintain them at the workplace. More than once you will find other employees exasperated and sometimes perhaps even offended by the Virgo’s penchant for pointing out flaws. Things become especially complicated when the Virgo is a fresh recruit and already ruffling feathers with his/her critical appraisal. But if everyone else in the workplace can keep in mind the fact that a Virgo’s exacting words are rarely motivated by malice, it might become far easier to stomach his/her remarks. It is simply not in the nature of this zodiac to tolerate work that is less than perfect and towards this end they will try every means, including giving voice to their critical temperament, so that the job is done according to the highest standards. The element associated with Virgos is the Earth and this is keeping with their grounded natures. A Virgo will thus be practical and concerned with activities which have a tangible outcome. Born with a sensible mind and a discriminating eye, he/she will be attracted only to those ventures which can be taken to a logical conclusion. The airy brilliance of Geminis or the flowing imagination of the Pisceans is not for your Virgo employee. So instead of placing the latter in the creative or promotional department, you would well to ask him/her to keep the books for your company or take the responsibility of checking the supply of materials to your firm. Virgos are the right choice for positions which require someone with strong analytical abilities and an unwavering concentration. Yet another professional area where Virgos tend to excel is the service sector. Health, hospitality, F&B, charity and education are only a few of the businesses where a Virgo is in his/her element. This is because of the innate willingness to help which marks individuals of this Zodiac. They are only too willing to drown themselves in hard work and commitment, especially if it will help others in some way. Perhaps this is because she is ruled by the planet Mercury who in classical Roman mythology was the extremely busy messenger of gods, racing against time to deliver missives from one divine being to another. The downside of the Virgo’s meticulous and industrious personality is they are apt to become the warning signs of the “All work and no play” syndrome. It is not uncommon to find workaholics among the ranks of Virgos. So while you may be secretly pleased to find that a Virgo is burning the proverbial midnight oil to complete the task you have handed to him/her, also be mentally prepared to digest that barely-disguised look of disapproval after you return from your fishing trip over an extended weekend. This is because Virgos believe that work and service come first and leisure is possible only when other matters are taken care of – which for Virgos is rarely possible. While their workaholic nature drives them ahead on the professional ladder, it also brings with it an unhealthy lifestyle. Being indoors almost all the time and working with that nervous intensity, often makes Virgos prone to several health problems, hence their reputation for hypochondria. So be prepared to grant a day off every now and then to a Virgo employee when he/she is feeling under the weather or has a checkup scheduled. Never fear a dip in their productivity since their workaholic natures will ensure that the job is done. The good news is that as Virgos grow older, they become physically stronger and less concerned with allergies and medication. Finally, a Virgo employee is an asset not only because of their dedication and thoroughness but because they are one of the few workers who do not need supervision. Though a Virgo may seem to work slowly because of their cautious and methodical nature, their minds work real fast and you can trust them to work on their own because of their strong sense of ethics and responsibility. Libras are diplomatic and sociable -- they need human interaction in order to be happy in a career. They are also easy-going, cooperative and are able to reach a compromise easily. Those belonging to this sign are often the most popular in the office due to their charm and effervescence. Because they’re always seeking balance, they transfer that energy into creating a fair workplace. They make excellent conflict managers when they’re able to shake off their indecisiveness. The tendency to over think may lead to a slower work output, but overall it will be more detailed and thorough. Librans are well known for their calm and equable temperament. Much like the symbolic Scales which maintain a perfect equilibrium, Libra men and women are not easily swayed between extremes of love and hate. They possess neither the intense passions of a Scorpio nor the teary sentimentality of a Cancer. This trait in Librans makes them ideal for appointments which require a cool, collected head to deal with fussy clients or irate creditors. You can trust a Libra receptionist to stay unruffled even on the busiest working day at the salon or to remain even-tempered when the managing director has been booked into the wrong suite. With their calm demeanor and pleasant manner, a Libran employee is capable of soothing the angriest of tempers. One important consequence of their equable temperament is that Librans are a huge hit in appointments which thrive on inter-personal dealings. They are positive, friendly and easy to get along with. Those born under this sign will always be ready with the right thing to say and always know how to make someone comfortable. Perhaps this is why Librans make great public relations officers and event managers. So don’t be surprised to find a Libran employee figure as a regular on the guest list of the best parties and gatherings in town. However if you are particularly partial to this person and are hope for a kind of allegiance from him or her, you might be in for a disappointment. This is because they rarely cultivate favorites and prefer being nice and friendly towards everybody. One of the most distinguishing characteristics of the Libra personality is their love of harmony. Whether at home, at the workplace or even away on a vacation, a Libra always seeks to surround him/herself with beauty and elegance - hardly surprising for a sign that is ruled by the planet Venus who in classical mythology was the reigning goddess of love, sexuality and beauty. Perhaps this is why some of the most successful Librans can be found in the fields of fashion, design, interiors, landscaping and other artistic pursuits. A Libra will shrink back from anything that is overpowering and smothering, rather he/she will be drawn to a beauty that conveys a harmonious mingling of qualities. This aesthetic sensibility is completely different from the Leo’s love of the flamboyant and luxurious as well as from the Virgo’s partiality towards the prim and proper even though both signs are equally known for their discriminating taste. A Libra on the other hand is attracted to the subtle and sophisticated. If you place a Libran employee in the midst of jarring noises and shabby furnishings, he/she will most likely head for a nervous breakdown. Rather make sure that they have a clean place to work in with perhaps a nice view of the park from the window and your Libran will happily get going to transform the space into an oasis of refinement. This is not to imply that a Libran employee can be a liability but that in order to get the best out of them, they need to work in a space where they feel comfortable. And once your Libran can feel their aesthetic sensibilities in harmony, he/she will sweep you with their innate charm and surprise you with the excellent quality of their output. The downside of a Libran’s refined and social nature is that stressful environment can get him/her into a fink. An errand boy with a tendency to swear, a co-worker dripping with sarcasm or a team leader given to harassing others is enough to sap the creative and productive juices of a Libra employee. While an Aries would disdainfully brush away any hurtful remark or a Scorpio would meet it with some venom of his own, mean and petty behavior at the workplace can make it downright impossible for a Libran to give his/her best. A Libran might not give way to a flood of tears like a Cancer employee but he/she will become depressed and so unlike his/her sparkling, charming self that you may be forced to ask what is the matter. On the whole a Libran can maintain an airy distance from an emotional situation, thanks to Air being the ruling element of this zodiac. But when consistently facing hurtful and abrasive surroundings at the workplace, he/she can get toostressed to work at their optimum level. Suitably appropriate for a sign which bears the symbol of Scales, a Libran cares deeply about fairplay and justice. If you wish to earn the respect of a Libra employee, make sure that he/she never sees you acting in an unjust and dishonest manner. This very sense of fairplay in Libra also makes them a good diplomats and conciliators. This is because when faced with a problem, they would tend to mentally weigh both sides of an affair and then arrive at a decision. So you can trust a Libran with situations which demand collaboration and co-operation rather than confrontation. If any worker is least likely to be hot-heated, violent and hasty in dealing with a conflict, perhaps it is a Libran. At the same time, their innate sense of fairplay will immediately oppose any visible instance of unjust or unfair treatment. This coupled with a willingness to take the initiative makes a Libra man a natural choice in resolving conflicts and opening deadlocks. Unfortunately a tendency to caution also makes for a vacillating and undecided nature. A Libran may take too long in coming to a decision or veer from one extreme to another before making up their minds about an issue. So while a Libra employee may make for an effective peacemaker, he/she might not be the right person to cope with an emergency or a crisis which needs immediate measures. On the whole however, Librans with their pleasing manners, aesthetic temperament and great sense of justice are an asset to any organization and undeniably charming presence at the office. Analytical, intuitive and resourceful, Scorpios are drawn to mystery and all things complex and abnormal. Occupations well-matched to this personality are in science, investigation or politics. Scorpios are generally reliable and keep to themselves, but will speak up if they feel like something’s wrong. They work best in professional environments that allow them to focus on their responsibilities. Office drama is of little interest to them, but they can get resentful and reactive if treated disrespectfully. Their intensity might be intimidating, but their diligence and focus is admirable. A Scorpio is rarely confused about what he/she wants and how to get it. If you have a Scorpio in your ranks, you can distinguish him/her by a steadfastness of purpose and an intensity of determination which would be quite unnerving if it did not suit your professional purpose so admirably. Once a Scorpio is given a task and knows that its successful completion will get them what they want, they will set about it with a tenacity and single-mindedness that is rarely found in any other sign. What sets a Scorpio worker apart from other determined personalities like a Capricorn or Taurus is their deep and unwavering confidence in their own abilities. More than any other individual of the zodiac, a Scorpio is the master of his/her own fate. You will find a Scorpio employee entirely self-motivated and single-minded in their desire to reach where they want to. The Scorpio has the power to make or break his/her own life and the most awe-inspiring thing is that they are completely aware of the fact. They rarely work under self-delusions and never lie to themselves about their motivations, weaknesses and strengths. This quiet self-confidence is entirely different from the egoism of an Aries or the self-aggrandizement of a Leo. A Scorpio’s self-assurance rather has the strength and potency that comes from complete self-knowledge. Moreover you will almost never find a Scorpio worker blaming anyone but him/herself for their own mistakes. No one else can be so resourceful and so sure of their own potential. The immense self-confidence of a Scorpio is backed by one of the sharpest and most perceptive minds in the zodiac. Apart from possessing complete self-knowledge, it is most likely a Scorpio employee is equally perceptive about the thoughts and feelings of others. Most individuals of this sign are blessed with an innate mental acuity which grants them an uncanny insight into what drives people around them, what are their secret failings and weaknesses. And in fact you might find to your cost that a Scorpio is not above using this inner knowledge to get his/her own way while closing a deal or negotiating a pay hike. As a boss if you can harness the power of a Scorpio’s keen analytical mind and his/her ability to sniff out people, you stand to reap huge benefits for your firm. Add to these their intense drive and steady determination and they are bound to be great successes in almost any professional field but especially those that require nerves of iron and razor-sharp brains. The most common motivation for a Scorpio employee is power. This is completely unlike the need for security which drives a Taurus employee or the desire to give shape to great ideas which are at the heart of an Aquarian’s professional efforts. Power as signified by position, influence on other people and its external trappings is the chief force which drives a Scorpio employee ahead. The interesting thing about their desire for power is that it often determines the quality of relationship he/she will share with someone. If you are their boss, you may wonder at the quiet, even mild-mannered young recruit who does not raise an eyebrow even when you reject his/her proposal the third time, but this is because for the Scorpio the end justifies the means. Today he/she will calmly endure your tantrums and even incorporate your suggestions but only because they know that you hold the key to their success. A Scorpio is under no delusions that the road to ultimate power lies through you, their boss, and towards this end, they will do your every bidding. If on the other hand a Scorpio employee is treated roughly by a co-worker from whom he/she has nothing to gain, the latter had better watch out. The Scorpio’s capacity for revenge is legendary, aptly symbolized by the Scorpion which carries a deadly sting in its tail. This is one person who will never forgive a hurt that he/she has received and no matter how much water has flown under the bridge, never forget it either. And eventually one day the co-worker will rue the time he had made the mistake of stepping on the Scorpion’s tail. It is because of this hard, unyielding nature of a Scorpion that it makes sense to treat a Scorpio employee, no matter how much authority you have over him/her, with caution and the respect that he/she deserves. For you can be sure that one day your Scorpio will rise to the top and acquire the position of power that he/she had been working towards for so long. And on that day you don’t want to be on the wrong side of the Scorpion. Scorpio workers are cautious and reserved by nature and do not feel it necessary to maintain active social relationships like your Gemini or Libra employees. You will rarely find a Scorpio employee chatting with co-workers way past the lunch hour or taking the initiative to organize the office Christmas party. This also means that you would do well not to pry into your Scorpio’s personal affairs or offer advice on how they should go about their divorce. Interestingly however despite their calm exterior, Scorpios are capable of feeling very intensely. In personal relationships, they are known to love and hate with a strong fervor and in fact are reputed to be rather passionate lovers. At the workplace however you may be allowed only a glimpse of their intense emotions - in a flashing look of annoyance or a deeply-felt expression of gratitude perhaps – because on the whole Scorpios are quite capable of hiding their tumultuous feelings behind a deliberate façade. So while a Scorpio employee may have his/her own destiny to fulfill, their sharp minds, steely determination and unwavering courage make them an asset to any individual or organization they work for. Sagittarians are spiritual, positive and ethical; they also love to travel and learn new skills. They have great personalities that make them fun to work with. They exude confidence and enthusiasm, but that also leads to them taking on more than they can handle. When too many responsibilities turn into unfinished assignments, they tend not to worry too much about it, which can be off-putting to employers. They’re smart and capable, but they need to find a balance between their easy-goingness and over-eagerness. Sagittarians are nothing if not optimistic. You can trust them to see the brighter side of things, no matter how gloomy or hopeless external circumstances appear to be. So when on a rainy Monday morning, no other employee has a pleasant smile for you, a Sagittarius will breeze into the office bidding a cheerful hello to everyone and cracking goofy jokes, all of which are bound to lift up the gloom. Best of all this positivity of a Sagittarius is hugely infectious and with the Archer around, you can be sure almost all the other workers will be motivated to action. So while this innate optimism might not materially contribute towards inking that lucrative contract, it definitely helps to create a lighter, happier and thus more productive environment at the workplace. A Sagittarian worker is a bundle of crackling energy, hardly surprising considering that the ruling element of the sign is fire. Like another fire sign the Aries, the Sagittarius worker will love being in the thick of action and with lots happening around him/her. So you would do well to place a Sagittarius in appointments which require an active bouncing of ideas as well as the gusto to put them in action. Unlike the cautious approach of a Taurus or the slow methodical processing of a Virgo, a Sagittarius employee when presented with a task will come up with a flutter of ideas, galvanize everyone around him/her with cheerful optimism and make sure the job is on its way to getting done. In fact Sagittarians have incredible stamina and can keep hopping from one activity to another when other stout-hearted guys can carry on no longer. However a potential problem with their brisk, energetic natures is that Sagittarians tend to get quickly bored. In fact one of the worst ways you can occupy a Sagittarius worker is to put him/her in charge of the book-keeping or confine them to the drudgery of a desk job. Rather ensure that a Sagittarius has enough activities to keep their energetic minds occupied or they can get lose interest quite soon and can become moody and irritable. In fact one consequence of a Sagittarian’s frank and open nature is their tendency to be rather outspoken at times. Many a Sagittarian worker has perhaps lost out on that raise or promotion because of one unfortunate incident when they said the wrong thing at the wrong time. So despite all that is good and noble in your Sagittarian, beware of placing him/her at the reception or at public relations since most of them lack the tact and diplomacy of a Libra. In the final analysis, you can rarely find a worker who is more upbeat, energetic, intelligent and open-hearted than a Sagittarius. Not only is this is a person who has his/her heart in the right place, curiously enough, they seem to attract a lot of positive luck wherever they may happen to wander and sometimes bumble through. Little wonder since Jupiter the King of Gods is the ruling planet of this sign who perhaps makes sure that their zodiac child is crowned with all good and bright in human nature. Capricorns pride themselves on being highly productive and will thrive best in work environments that challenge them. They tend to get antsy if they’re not multitasking and they will focus on succeeding in their careers above cultivating friendly work relationships. However, that unyielding focus can also make them prone to narrow-mindedness and an aversion to change, and their eager-beaver moods will quickly sour if they feel their hard work isn’t paying off or being properly rewarded. The first thing you should know about a Capricorn employee is that underneath that quiet and down-to-earth nature is an exceedingly ambitious core. His/her aim is to reach the top of the professional ladder and nothing less than the boss’ chair will do. Unlike a Gemini, the thrill of a professional challenge does not matter that much to a Capricorn neither does the appeal of a grandiloquent title at the workplace which is caters to the Leo’s love of vanity. What really motivates a Capricorn is the professional prestige and status that comes with being at the top and towards this end they will work hard and long. So instead of luring a Capricorn employee with cash rewards or a cabin with the ocean view, you would stand to gain much more if you can give them a glimpse of what is in store if they keeping working with dedication and efficiency. Interestingly however, despite their intensely ambitious natures, you will not find Capricorn employees in a tearing rush to get to the top. They are content to move ahead with measured steps, one step at a time, much like the Mountain Goat - whose zodiac symbol they bear - makes its way with slow painstaking steps up a steep crag. Unlike an Aries who would almost bound to the summit on the wings of their overarching ego if they could or a Sagittarius who is impatient to see his/her far-reaching ideas acquire material shape, a Capricorn will prefer to work with a steady, dogged determination which though slow to appearances is sure to get the job done in the end. It is this quiet and unwavering single-mindedness which makes a Capricorn employee a great person to have in the team especially when faced with tasks which require perseverance and patience. Couple with their intense drive and steely determination, a Capricorn also comes with a strong sense of responsibility. They are not only among the first to volunteer for a challenging project but when you hand over an assignment to a Capricorn you know that it will get done, no matter how difficult it is and how long it takes. While employees of other zodiac like Geminis may run out of steam after an energetic beginning or a Leo who may delegate it to a co-worker after seizing the initiative, a Capricorn worker will keep plodding at it till it is over and you are happy with the end result. Apart from the steady sense of commitment and an unwavering determination, what makes a Capricorn such a success as a professional is their finely-honed organizational skill. Men and women of this zodiac are born with a keen analytical intellect which is great at grasping similarities, differences, problems as well as solutions. All these make Capricorns master managers with a knack for the intricacies of running an organization. So you can not only find some of the most successful Capricorns in the corporate sector as supervisors, finance executives and human resource managers but also as administrators in schools, deans in colleges and in various other appointments which require a cool head and capacity for taking tough decisions. At your workplace you can get the best out of a young Capricorn employee as a team leader, a floor manager or an editor who is not averse to taking responsibilities and putting in some real hard work when called upon to do so. One reason for the professional success of Capricorns is their innate practical sense. The high-flying idealism of a Sagittarius or the lofty imagination of a Pisces is not for them. Rather they will be attracted to rational ventures which have the potential to move towards a logical and profitable end. It is this bent towards the material which gives Capricorns a reputation for being overly conscious of the external trappings of professional success like a million-dollar suburban home or ownership of a luxury yacht. However what really drives a Capricorn is not just the prospect of taking back a fat paycheck; you could offer your Capricorn a handsome commission and yet if he/she realizes that this job does not hold out the prospect of future promotions, the Capricorn employee is likely to lose interest in working for you. The best way to retain the loyalty and services of a Capricorn is to allow them a glimpse of the day when they are going to have their own personal glass-fronted and wood-paneled cabin and shall be looked up to by everyone else. Despite not being motivated by a mere paycheck, a Capricorn worker is acutely conscious of status and position. You will rarely find him/her cracking a joke with the errand boy in the life or fraternizing with subordinates during a coffee break. However just like a Capricorn will be reluctant to mix with the hoi-polloi, so you can be sure of him/her taking orders from a superior without a murmur. This is because a Capricorn respects authority since it is their deepest desire to succeed to such a position one day. Their acute awareness of status and position makes Capricorns perfect for professions with a definite hierarchical structure like the military or the clergy. So if you want to bug a Capricorn employee, you can force them to consort with subordinates but on the other hand if you would like to reward their efforts, an annual subscription to an elite professional club would be just the thing! The love of status and position gives men and women of this zodiac highly conventional in nature. For tasks which require innovation and imagination, a Capricorn employee may not be the right choice. Rather January-borns prefer to do a thing as it has been done for ages unless there is a very good practical reason for departing from tradition. Their partiality for convention in fact lands a rather strong streak of the conservative in Capricorns which is why you will almost always see them turn up in blue-gray suits and vote for the Right-wing. However despite their rather stodgy and materialistic natures, Capricorns are a great asset when difficult decisions are to be taken and major responsibilities to be fulfilled. Independent, humane, innovative, unconventional and visionary are all adjectives that describe Aquarians. Jobs suited for these character traits include astronomy, photography, aviation and computer technology. Aquarians enjoy trying new things and appreciate being given a variety of responsibilities. They’re hard workers who march to the beat of their own drums, but easily form friendships by being loyal and considerate of others. Their classic air sign flightiness means that they also get bored easily and are always on the lookout for better and brighter things if their jobs feel stagnant. The one trait of personality perhaps which makes an Aquarius stand out from the crowd is a keen, inquiring mind. They are interested in getting into the heart of everything and knowing how it works. If you have an Aquarius on the payroll, you are likely to find in him/her evidence of an equally curious bent of mind. An aquarius worker is the one people will rush to at the workplace when an intractable client needs fresh ideas for the advertising campaign or even when the new scanning equipment needs figuring out. This knack for taking apart the pieces of a problem and then configuring them to present a solution is highly coveted in a wide variety of professional areas ranging from the arts and humanities to science and business. However an important aspect to remember about an Aquarian’s brilliant mind is that it is attracted to abstract ideas and theories rather than to minute details. Perhaps this is why unlike a Virgo or Capricorn they cannot be happy with auditing the accounts or looking for legal loopholes but need to range free in the world of thoughts and ideas and look for ways to put them in shape. The Aquarius brand of intellect is perfect for coming up with original ideas and plans. Their spirit of innovation is evident in the way they are attracted to the highly advanced - whether in case of philosophy, knowledge or technology. So if there is one person among the staff who can be seen fiddling about with the latest iPad or the going gaga over the newest gaming console in the market, it is most likely to be the Aquarius. These February-borns have not only an innate knack for anticipating the latest leap in human knowledge but actually can be depended upon to figure it out for the rest of the regular folk. So if you wish to make the best use of an Aquarius worker, put him/her in charge of overhauling the information system at your workplace or predicting the latest trends of customer behavior relevant to the business. One significant consequence of this spirit of innovation is that Aquarius are forever on the move – if not physically like the Sagittarius at least intellectually. Don’t be taken aback to find that an Aquarius graphics designer has shifted onto an entirely new position from the one you agreed upon when you both were discussing the layout of a new publication. These people are perpetually attracted to the newer, the quicker and the one that can touch the farthest frontiers of human thought. In their search for the original and new, Aquarians tend to develop a rebellious streak. A sure-shot way to pick out an Aquarius is to see the one who is trying to stand out from the crowd not so much in terms of dress and appearance but in their approach to work and life. Unlike a Capricorn or a Taurus, you will rarely find an Aquarius employee subscribe to an idea for the simple reason that it has been around for so long. Rather he/she will attempt to figure out a new way of doing something and in the process if it shakes some time-honored foundations, so be it. It is because of this rebellious streak that Aquarians are not always good at taking orders from above. However while the Aries and Leo are uncomfortable with authority on account of their overweening ego, in case of Aquarians it is because their deeply incisive intellect knows that a thing need not always be right simply because most people believe it to be so. So while you may have second thoughts about trusting an Aquarius employee with an important sales project, sometimes the out-of-box ideas that he/she comes up with can prove to be more profitable in the end than conventional solutions. At times this desire for the unconventional is expressed in appearance and more than once you may find an Aquarian turning the unofficial dress code in the company turn on its head. However with their innate good taste and an understanding of culture, rarely will an Aquarian employee go so far as to turn up for a boardroom meeting in tattered jeans or crocheted shawls. The Aquarius is known as the visionary of the Zodiac. Coupled with a keen, probing mind Aquarians are blessed with a genuine altruistic nature. They are drawn to what will make the world a better place to live in and as a result many famous reformers and progressive thinkers have come from their ranks. Even if an Aquarius worker is not explicitly related to a service-oriented profession, you can still find him/her take the initiative to refurbish the community library or draw up the design for a new wing at the destitute shelter. Like the symbol of the Water Bearer which marks this zodiac sign, Aquarians believe in carrying the gifts of knowledge and thought and pouring it out for the betterment of humanity. So if you wish to retain the respect of an Aquarius employee, stay away from dubious dealings and mean behavior to the small fry. And for good measure, write a handsome check for his/her favorite charity which is sure to earn you the lifelong devotion of this brilliant, forward-looking mind. Interestingly some Aquarians reveal very opposite traits, probably owing to the twin influences of Uranus and Saturn. With Saturn as their primary ruler, some of them are conventional, highly disciplined and rather strict about money matters. So if you have had an Aquarius girlfriend in college with colorful Bohemian preferences, you may be surprised to find in an Aquarius employee a budding corporate lawyer. However where the two different strains of Aquarian personalities find common ground is in possessing an incisive mind and the ability to look into and rightly anticipate the visions of the future. Pisces are empathetic, caring, unselfish and spiritual, which combine well with healing or compassionate professions like health care, social work or philanthropy. A content Piscean worker commits herself to the company and truly believes in the work she is doing, ditching the daydreams for discipline. If they hate their jobs, these fishes make it obvious and spend their time imagining a better life (and everywhere else they could be besides the office) instead of improving conditions at work. A defining quality of this zodiac is the Piscean’s highly imaginative mind. A Pisces loves to range free into a world far above the practical and the material, touching new ideas and dreams that no one has ever thought of before. It is this capacity for thinking new thoughts and capturing hitherto unrealized patterns that makes the Pisces perfect for professions which require a free imaginative mind. All kinds of artistic pursuits like music, drama, literature, visual arts, dance are thus the forte of the Piscean who can find in these the perfect medium to express his/her creativity and give shape to their boundless imagination. Now and then you might find a Piscean engaged in a mechanical occupation relating to mathematics, engineer­ing or computing, but he/she will always attack such subjects from the abstract point of view. Even though on the surface a Pisces may seem incompatible with the coldly rational and materialistic corporate world, they can be quite an asset in the creative section of an advertising business or a publishing firm where new ideas are constantly in demand. And in fact at times even the straitlaced legal and financial sections when stumped with a problem might find a Piscean’s out-of-the-box thinking more useful than conventional solutions. Finally Pisces people make excellent teachers; their empathetic imagination allows them an uncanny insight into the natures of their students and a deep grasp of the subject they teach. The imaginative workings of the Pisces mind and their own creative genius makes it difficult for them to conform to conventional standards of professional behavior. A regimented nine-to-five routine for instance may not simply be the right way to get the best out this employee since his/her imagination may take flight at all odd hours of the day. Furthermore a Piscean might find it difficult to relate to other employees with a more down-to-earth temperament and make them understand the highly individual way their mind works. All these reasons make a Pisces happiest when working alone and thus you can find some of the most successful Pisceans as self-employed, freelancing or attached with small independent businesses. Even when they have made a name for themselves in their respective professions, they would much rather work as a consultant with a certain degree of freedom, rather than on the payroll of a large multinational corporation. In order to have a happy Piscean working as part of a team, you need to ensure that he/she is surrounded by a positive and humane environment. No matter how much you agree to pay a Piscean, if he/she finds mean, aggressive people as his/her co-workers or the cold pursuit of money as the only motivation, you will find the Pisces employee gradually losing interest in work till he/she becomes disinterested, lazy and eventually disheartened. A Pisces is at his/her most productive when working among people who are not only cheerful but genuinely good at heart. This is completely unlike the shrewd Scorpio who can take on even the most duplicitous co-worker or the stodgy Taurus who will simply keep his/her counsel and allow no nonsense. A Pisces shares with Libra and Cancer an acute sensitivity to surroundings; if there is stress and cut-throat competition around, a Pisces tends to swim away whereas when surrounded by light and positivity a Pisces can surpass all expectations and come up with the best that his/her creative genius has to offer. By now it is evident that you cannot make a Pisces work using the bait of money or even professional prestige which would have happily snared a Cancer or a Capricorn respectively. A Pisces will be happiest when giving shape to his/her imagination through a creative pursuit or engaged in a profession that is geared towards helping the less fortunate. The latter is an important motivation since Pisces tend to be compassionate to the core. The sight of someone suffering wrings the Pisces heart and often makes them commit their efforts and resources towards alleviation of others’ misery. This is one reason why many Pisces can be found working in service oriented professions like education, health and charity. Pisces are introspective in nature and some of them may even seem introverts at first. Unlike an Aries who is only too happy to share his/her achievements with anyone willing to listen or a Gemini who needs an audience to thrive, the Pisces personality is markedly inward-looking. This is because they like keeping many of their own qualities under wraps and reveal them only at the right time and to the right people. So don’t be disconcerted if a Pisces recruit appears rather cautious and reserved over the first few months at the job. These individuals, as indicated by the symbol of the Pair of Fishes, swim in deep waters and are concerned with the inner processes of the self. And once they find that their environment is to their liking, they will turn out to be some of the most supportive and productive employees you have seen. Pisceans appear to have got some bad press about being dreamy and even escapists who cannot adjust to the real world. The truth however is that they are some of the best-natured and adaptable people you can come across. Because of the mutable quality of the zodiac, Pisces have fluid natures which can go with the flow or adjust to changing conditions and personalities. This quality not only makes for an extremely resourceful person to depend on in times of crises but also make highly agreeable personalities to have around and you are likely to find your Pisces employee all this and more. For a boss who may have got the worst of an unrelenting Scorpio or an obstinate Taurus , the cool adaptability of a Piscean can make a most refreshing change.